Pencil eraser is soft and pliable for correcting pencil mistakes. Offers beveled ends. 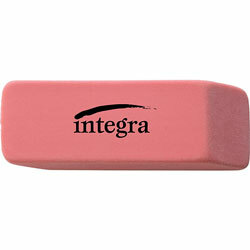 Pink Cube and Pencil-Top Erasers from Integra! 49302 In Stock today.